Aries Cerat Incito S, a tube line stage beyond boundary?! I think my first meet up in person with Stavros Danos, the founder and head designer of Aries Cerat was way back in 2016 when he visited me here in Malaysia. I arranged a gathering for the introduction of Aries Cerat and the Kassandra 2 Limited Edition Digital to Analogue Converter (DAC) to some audiophiles here. Many were taken in by the performance of that DAC but it’s price (retailing at €84,000) made its ownership limited to only a handful. Therefore, I have taken the opportunity to encourage our friend, Stavros to design something for ‘mortals’. He liked my idea and had in mind a product that fits the bill. Back then he already has the standard Incito pre amplifier at €7,500 in his catalogue and according to him, it is a good performer. But as a designer, Stavros has some neat treats he wanted to incorporate into the Incito. Thus, the Incito S was born. It comes at a higher price tag (€14,000) but I am told it’s a different league in comparison with the standard Incito. I asked Stavros the background and idea of his Incito tube preamplifier. He replied with Einstein’s famed quotation, “Make everything as simple as possible, but not simpler”. It was a straightforward statement but not easy to implement. The next question was where would the golden ratio of simplicity in design meets ultimate performance. Stavros designed the standard Incito with the abovementioned quotation in mind. Therefore, at the heart of the Incito was a small single ended triode (SET) amplifier, in a single stage, acting as an active preamplifier that could drive any load. He felt the design met that golden ratio. Even so, he knew it was overshadowed by its bigger siblings, the Impera series of preamplifiers that carry the company’s ‘Inverted Triode Technology’. The drawback of that technology was its significant size and weight which increased almost two folds. It proved most inconvenient to most audiophiles, especially those with limited room estate, back pain and etc. 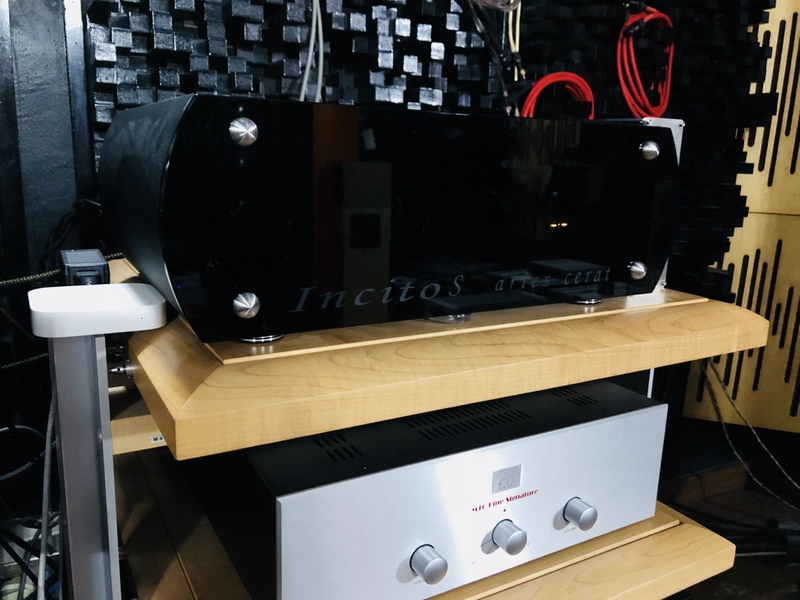 Aries Cerat and Stavros decided to introduce an Incito size and weight preamplifier that performs ‘near’ their preamplifier with ‘Inverted Triode Technology’. They knew that it was a tall order and bordering on the impossible, in terms of sonic performance. At the heart of the Incito S was still beats a ‘zero feedback power gain stage’ that consists of a ‘small single ended triode amplifier’. Here, the employed single tube of choice was the Siemens-made Super Tube, the E280F. It was chosen for its sound character, very high trans-conductivity, low plate resistance pentode, wired as enhanced triode and was part of the Super Tube family. The Super Tube was loaded with a specially designed transformer. The output transformer used was of the highest quality step down transformer with reconfigurable secondary winding to provide switchable gain. It was designed to minimize parasitic capacitance and leakage inductance that were detrimental to sound quality. That small SET amplifier could easily provide voltage swings of over 320Vpp, and was stepped down to 80Vpp (or 40Vpp on -6db secondary configuration) while keeping transistor-like noise figures. That specially designed step down transformer provided very low output resistance and more than adequate current to drive any load down to 50 ohms! 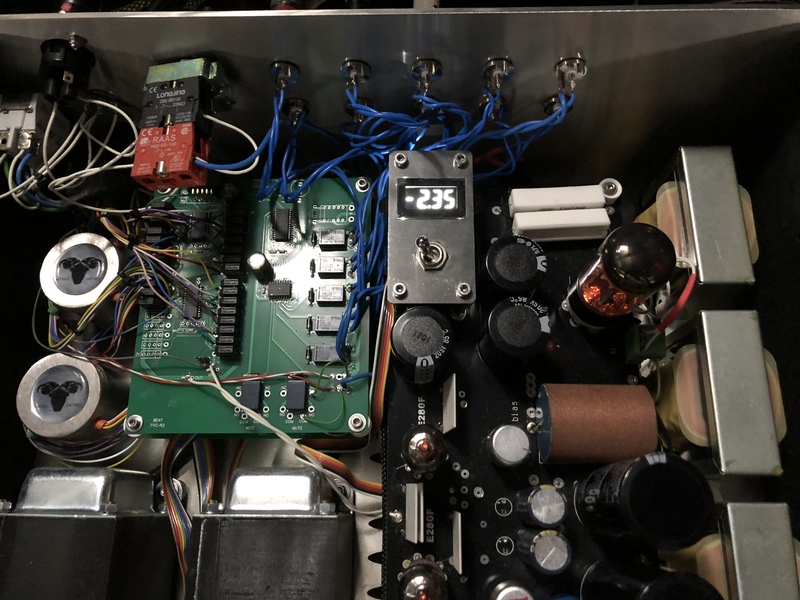 Stavros provided that ‘the high performance tube stage was of Class A single ended zero-feedback design which meant that a robust and preferable passively-filtered power supply was mandatory. That power supply, especially in SE circuits, was part of the signal path. He decided to avoid actively regulated PSUs (Power Supply Unit), as active regulation meant use of feedback. He continued to explain that ‘many “Zero-feedback” designs used active regulation PSU, thus negating the term Zero-feedback’. 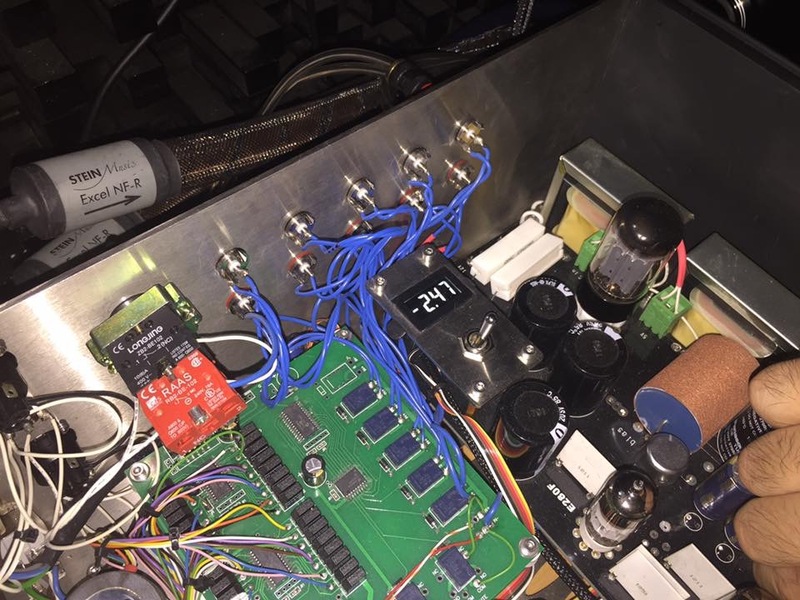 The Incito S’ PSU was passively filtered and was built around the 5AR4 rectifier, a very low internal resistance vacuum rectifier, and used separate double PI Filtering for each channel with oversized chokes and high speed capacitors with additional ground filtration in each of the channels. That way he avoided the usual crosstalk of channels through the ground. 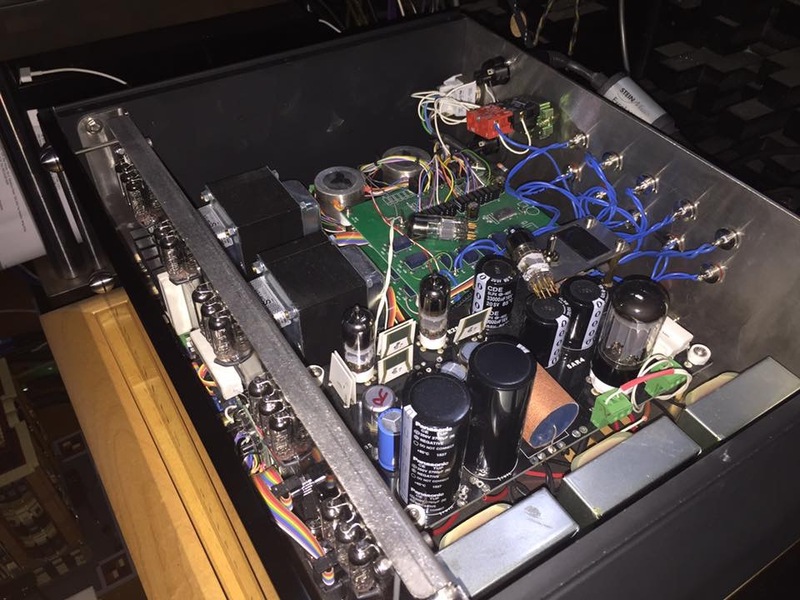 The Incito S’ power transformer was encased in an external chassis that was connected to the main preamplifier with a permanent umbilical cord. That led to ‘an improved noise floor figures of 20db, thus totalling well below the -110db mark. Most preamplifiers would suffer sonically due to the method of signal attenuation (volume control). Stavros decided to employ a “best-to-our-ears” way to select his volume control apparatus and his choice leaned toward the ‘transformer volume control’. He chose one that has ‘the highest quality input transformer with a secondary tapped winding, thus providing signal attenuation depending on the tap used. He added that the core was of an extremely low loss design with the highest linearity on low level signals. The Incito S used ‘the same TVC and input system of their bigger preamplifier siblings such as the Impera II. To improve further, Aries Cerat also used the same AC Link proprietary technology to bias the small SET amplifier. Those bias circuits were independent for each channel. The AC Link proprietary technology provided that the incoming left and right signals were not referenced to the ground, after the volume control section. The above further avoided feedback from ground, crosstalk between channels, feedback from the output stage back to the input. Thus, improved separation, transient behavior and avoided modulation in noise floor. 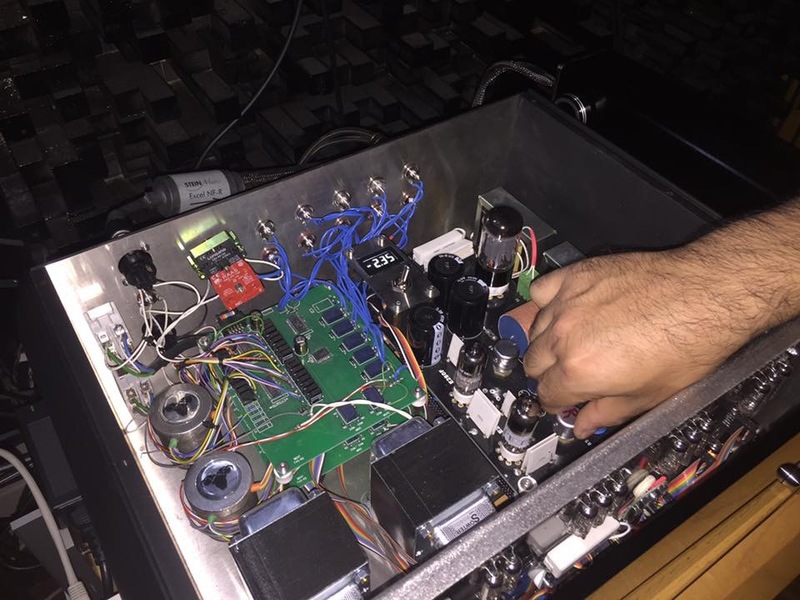 In addition, the Incito S came with bias circuits that were controlled and monitored by the use of two knobs and a built-in meter that ensured bias tuning of a design that was both easy and intuitive. The user could even re-bias the unit on the fly while music was playing through the preamplifier. Now, sonically,…What does any of us expect from a tube preamplifier? Generally, I have always expected audio tube components to have a richer sound. They tend to be more layered, textured and bloomier. The drawbacks in them are the ‘noise level‘ and ‘tube oddities’. On the other hand, audio transistor components have lower noise floor and better reliability and stabilityperformance wise. In a sense, they are better at details retrieval and transparency to the source material. Lately, I found these general perceptions of mine were being questioned (by myself, of course). Transistor preamplifiers such as the Pilium Audio Brutale Ares was as layered, textured and rich in sound as any great tube preamplifier. The Audio Note M10S tube preamplifier was as quiet as the Vitus Masterpiece MP-L201. Henceforth, I am more inclined to the sound performances, colorations, stability and reliability of an audio component than merely on its design technology, ideology and philosophy. 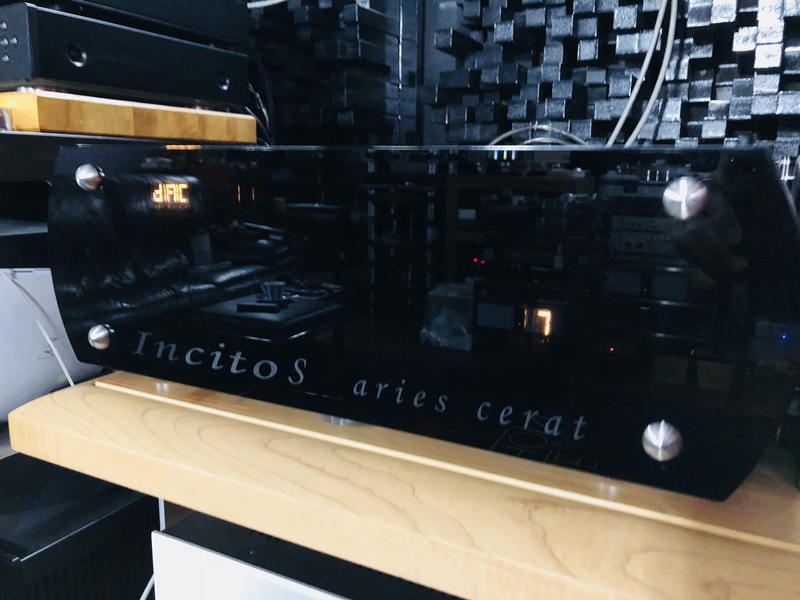 Before I received the Incito S, my Aries Cerat Kassandra 2 Signature Limited Edition Digital to Analogue Converter (DAC) was connected to the Audio Note M10S tube preamplifier. That combo has entertained and impressed quite a number of top end audiophile players here. I remembered some of them exclaimed that that combo was as rich and musical as any great analogue sourced set up (given the right recording), and there were those new to analogue that said they would not have plunged into analogue if they knew that digital could sound that great! The introduction of Incito S into that set up immediately stoked me with its ‘somewhat unorthodox’ presentation. I knew I was listening to a tube DAC and a tube preamplifier in all their supposedly attractiveness, but I am also hearing some positive attributes of a good transistor preamplifier. I knew such statement was not new given today’s audio technology and design. 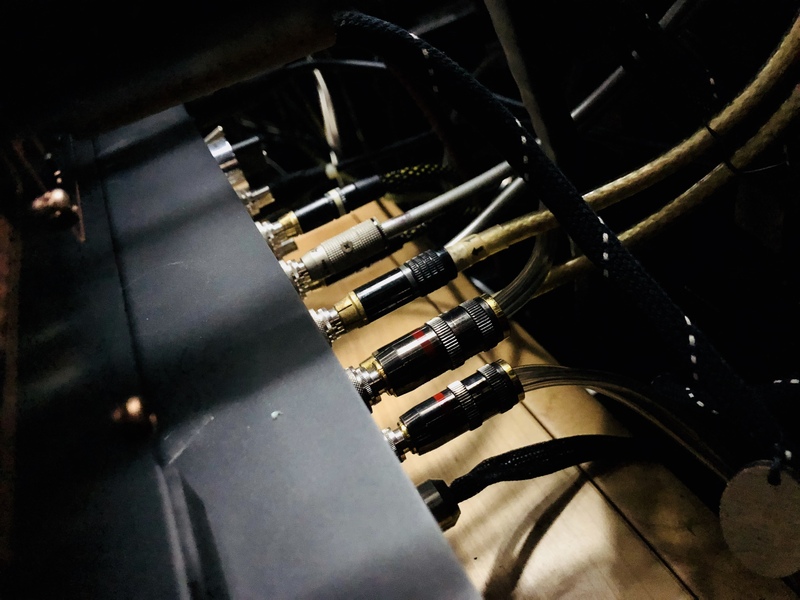 Most modern audio components, including a preamplifier, whether it be of tube or transistor design have been pursuing the objective of creating a conduit for ‘musicality to flow through unadulterated’ or ‘as much of the music to flow through’. A somewhat broad and bold term and objective. Technically, any design of an audio component is a manipulation of the passing electrical signal to achieve control over the end result (simply put). It has been my belief that if any audio component in a chain has any difficulty or problem in the presentation of the mid to the lower frequencies (or control thereof) of the bandwidth, the entire musical presentation would be misrepresented (to say the least). I begin the review with some popular music and not the typical audiophile recording. On Melody Gardot’s famous track ‘Mira’ from the album “The Absence” (CD ripped, Verve Records), I found her voice to be seductive, emotional, strong and yet entertaining. It has to be so for her voice to effectively carry the song behind an engaging and dynamic music backed with choir. Of course, in terms of recording, the above result could be manipulated with editing from a recording engineer but that was not the only case in point. The other case in point was that the Incito S’ high transparency to the end result of the entire recording that managed to bring out and about not just Ms.Gardot’s voice but all her essence poured into the lyric, amidst a musical fanfare. Alternatively, it could be said that the Incito S managed to manipulate the incoming electrical signal from the source and output an end result of ‘controlled musicality’. The ‘controlled musicality’ was not a hint of any limitation or negativity. On the contrary, I believed it was the Incito S’ ability to control and manage the bass from the mid all the way to the low frequencies of the bandwidth that resulted, ultimately a clear and clean musical presentation. Therefore, any listener could easily enjoy each musical note and all its detail, shade and nuance, including the difficult low notes. Next, I cranked up the volume level for Tina Turner’s GoldenEye (CD ripped, Original Motion Picture Soundtrack from The United Artists Film and Wildest Dreams) from the James Bond movie ‘GoldenEye’ soundtrack. I could not believe that a tube preamplifier, at a higher volume level of around 100+dB, could control and manage not only the amount of aggressive mid to low bass output but made sense and flow, and maintain the native tempo of the lower notes. There was not even a hint of any loss, cloud, and control over any aspect of the musical presentation throughout those loud passages. I would add that Ms. Turner was not drowned out by the techno-like music of that track. Ultimately, it concurred that the Incito S’ management of the musical flow and direction was ‘first rate’ even if it was a given ‘first class transistor preamplifier’. I have always believed that a piano note, especially its lower note, was most difficult for any playback audio system. It has been my trusted gauge to judge most audio components. Here, I played Chie Ayado’s Ban Ban Ban from her album “Good Life” (24/96 download, EWE Records, Japan). Through the Incito S, I could discover her artistry from the piano notes played. The pace and pause of each note were clearly delineated. Not to mention each note was allowed to fully form, body, bloom and decay at its rightful pace. I also got to enjoy the flow and meaning of each piano note, irrespective of other musical instruments joining in the presentation. The ‘highlight’ of the main artist and her artistry at the piano was not exclusive, but also extended to the other musician(s) and their respective musical instruments, as per the recording (or its limitation). Here, in that recording, the Incito S was able to give each musician, his/her artistry and the musical instrument their own space, separation, identity and individuality. Thus, I felt that the resulted presentation here was what some audiophiles might claim to be “a visual experience” instead of just “a listening experience”, but I am satisfied with ‘surreality’. Another gauge of mine would be the double bass. My ‘go to’ track would be “Ballad of the Runaway Horse” by Jennifer Warnes and Rob Wasserman from their album ‘Duets’ (CD ripped, MCA-42131). In my experience, there were many audio components that have failed to present that double bass accurately, and more so in presenting the bass notes all the way to the lower frequencies. 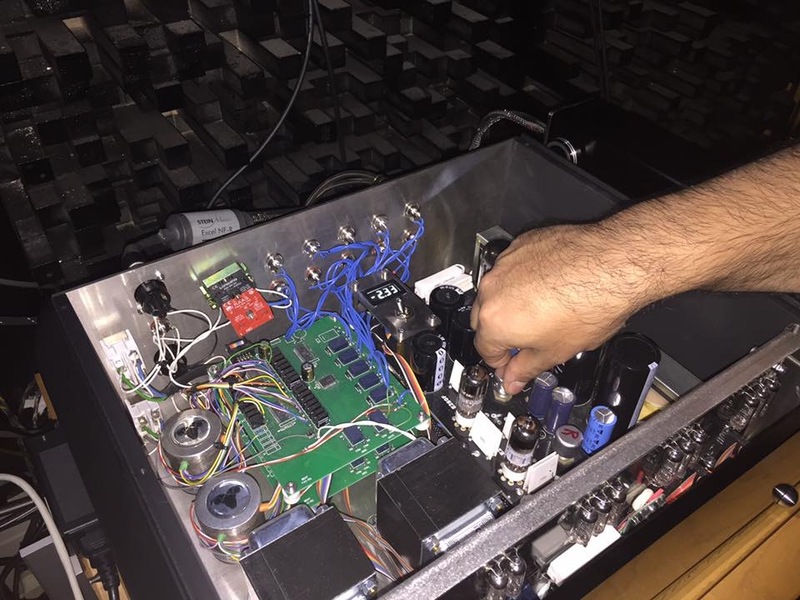 Personally, I have come across prominent audio designers who employ that track to assist them in speaker placement, acoustic setting, fine tuning audio components, cable selection and more. I would add that the double bass would expose the audio component’s potential and/or weaknesses. The Incito S was one of those few conduits that allowed ‘the entire length of the bass strings’ of that double bass to come through. It presented not just Rob Wasserman and his musical instrument but also the double bass’ strings, length and respective resonances till complete decay. Therefore, the listener could easily hear the recorded timbre of the string(s) of the double bass as if the ear was place at the resonating point. On a slightly different note, I played yet another entertaining track with Christian McBride at the double bass, “Chitlins and Gefilte fish” from the album‘Conversations with Christian’ (Christian McBride with Gina Gershon, Mack Avenue Records). The track involved two musicians, McBride and Gershon engaging in an interaction/conversation with their respective musical instruments. Here, the Incito S acted not just as a conduit of the recorded musical detail but a conduit of time, tempo, speed and rhythm. From the above findings, I was inclined towards the belief that the Incito S has an extremely low noise floor that rivals a great transistor preamplifier. The transparency to each recorded musical note was uncanny and surreal. It was obvious to me that it has the ability to control and present accurately the lower frequencies that allowed each note to bloom and flower to its fullest before decaying away into silence. Therefore, even the very minute and nuance of detail of each note was presented unhindered (by, most of the time, ‘messy’ low frequencies). I hope the above discoveries did not suggest that the Incito S’ audio presentation was of ‘clinical nature’, as suffered by some high end preamplifier designs, whether they be of tube or transistor. I like to believe that the Incito S was more of a conduit of the native resolution of a recording, which have been the objective of most, if not all audio designers. If one expected tube coloration from the Incito S, then I would say that given the proper recording, it managed to present ‘dimensionality’. I found a number of great tube preamplifiers having that coloration that found a following among some audiophiles. They (including myself) like the width, height and depth of a given soundstage, three dimensional images of artists and their instruments, space among the three dimensional images, and etc. On the track “John Henry” sung by Cecile McLorin Salvant from her album ‘Woman Child’ (Mack Avenue Records), it was clear to me that the Incito S presented the bass set and its notes with details, control, definition, delineation and proportion that defined ‘dimensionality’. The three dimensionality did not limit to the bass set alone but towards all the other musical instruments recorded. The accompanying piano was given the sensation of ‘dimensionality’, as if ‘I could hear the air within that piano’. In addition, even the vocalist was treated with the same ‘surrealism’ (or dimensionality) as the voice was emitted from a ‘three dimensional head with a mouth’. Thus, that presentation has that ‘stage-like’ sensation as if I was transported through time to the recording event and venue. Lately, I was reminded of an old audiophile favorite, Arnold Malcolm and The London Philharmonic Orchestra’s “Arnold Overtures” (Reference Recording RR-48) that I played for this review, both the Vinyl (1992) and Hi Res Digital File (HRX 24/176). 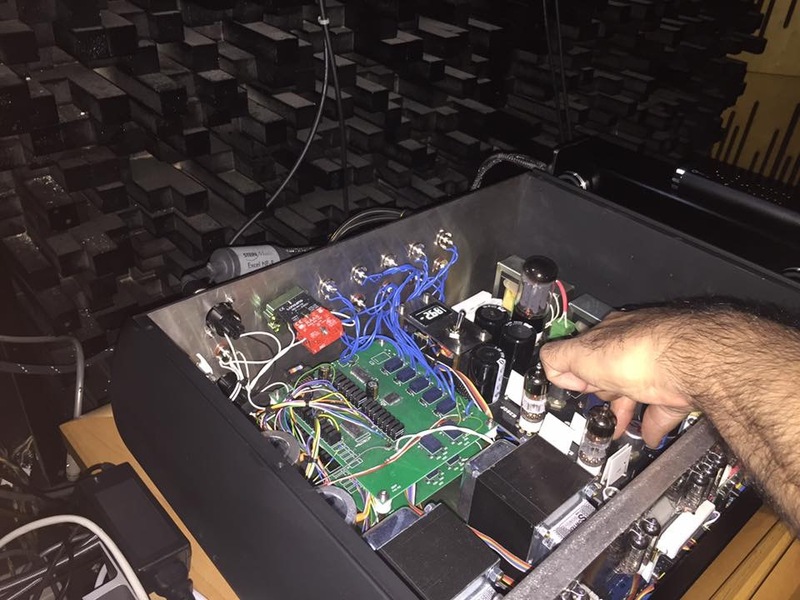 Here, through the Incito S, I discovered that the separation within the orchestra was well spaced within a quiet background that I only heard from my Audio Note M10S tube preamplifier (£90,000-00) and other top transistor preamplifiers (of course I have not heard them all…who has?!). 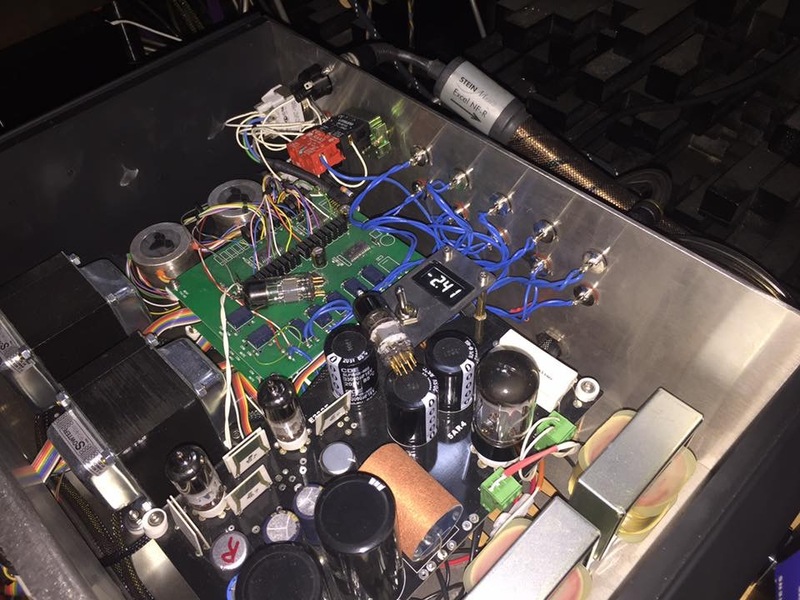 Comparatively, the Audio Note M10S has two elaborate tube power supplies that were comparable, in terms of extreme low noise level, with the Incito S (€14,500-00). In addition, it provided spacing among the musicians and allowed each musician in a section to stand out vividly to the extent that the guests would again exclaim, “I could see”. The sheer size, width, depth, height and dimensionality of the projected soundstage, atmosphere and ultimately, the soundscape, were sensational and almost to the scale of the actual presentation. Thus, I felt the entire presentation could easily envelope and engage me in a number of senses; I could see the musicians (for it was vivid), I could hear (of course) and I could feel the entire play with its emotions, energy and dynamics (did I or the Incito S miss out anything?). So far, I have the experience to enjoy two creations from Stavros Danos and Aries Cerat that are at both ends of their product range. The Kassandra 2 Signature Limited Edition DAC, which is their ‘top ender’ DAC, and the Incito S, which is their second budget preamplifier. So far after a year of use, I discovered both creations to be most reliable (trouble free) and provided me a sound quality that transcends beyond tube coloration and clinical transistor. Is there a component out there in the great audio wilderness that can give you everything you want in one simple package? As Stavros started out on this project, he mentioned that he would like to make things simpler and design a component in the audio chain that seeks to break with traditional thinking and mind set. The Incito S preamplifier achieves that rare feat of balancing the lovely qualities of both tube and transistor equipment to present recorded music as it should be reproduced. Not an easy task and yet, the Incito S manages to convince me, at a fantastic price point that won’t send me to the poor house, that it can perform against the best out there. Next Post Perfect HiFi hosted Kronos Complete Analogue Solution with Louis Desjardins!